Holly Ingleton is a cultural worker and feminist sound studies scholar living between London and Athens. 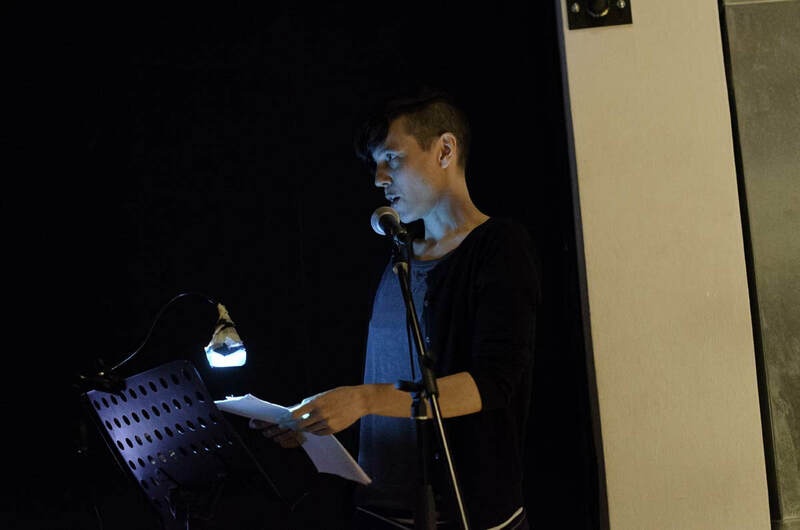 Her transdisciplinary performative practice explores sound in an expanded and often dematerialised field through archives, conversations, interventions, hidden herstrories and historical amnesias, tuning into feminist frequencies within sites of the juxtapolitical. 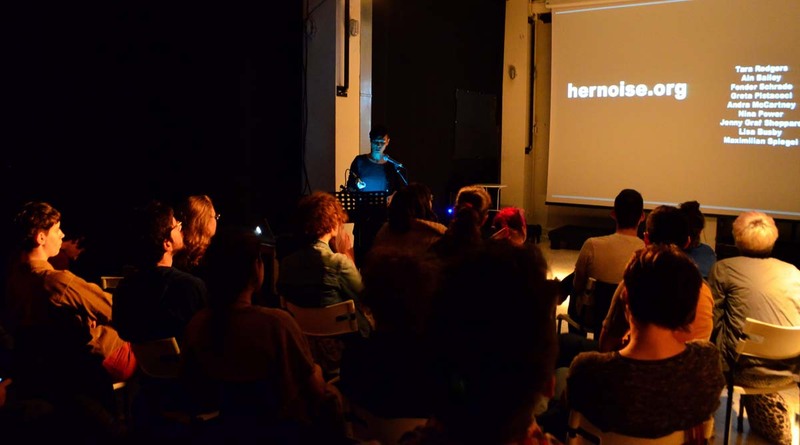 She is the editor of hernoise.org, a resource of collected materials from the Her Noise Archive curated by Lina Džuverović and Anne Hilde Neset, investigating music and sound histories in relation to gender, bringing together a wide network of women artists who use sound as a medium. 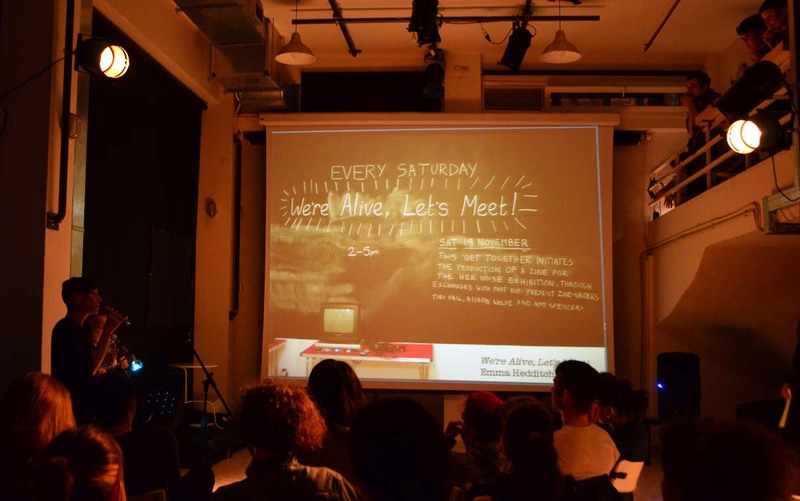 In her Sound Acts talk, she presented the progress behind the archive, focusing on a particular work, Emma Hedditch's installation "We're Alive, Let's Meet! 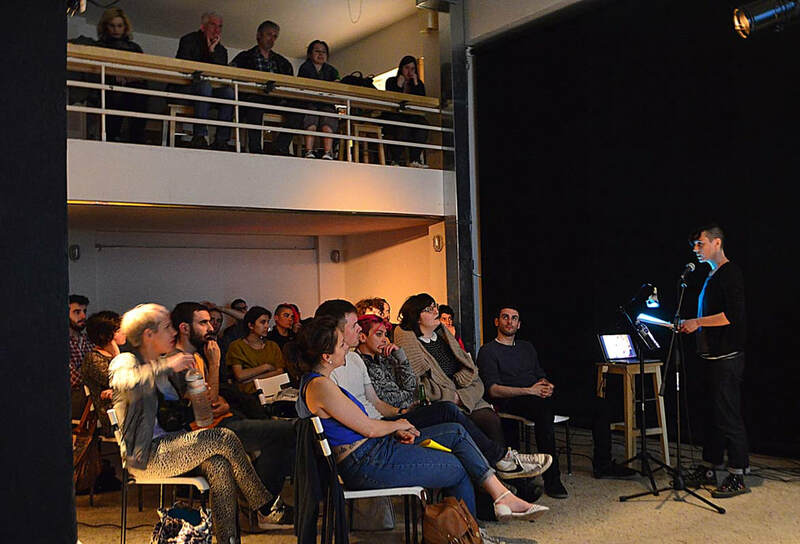 ", a durational performance that consisted of a series of weekly 'get-togethers'. 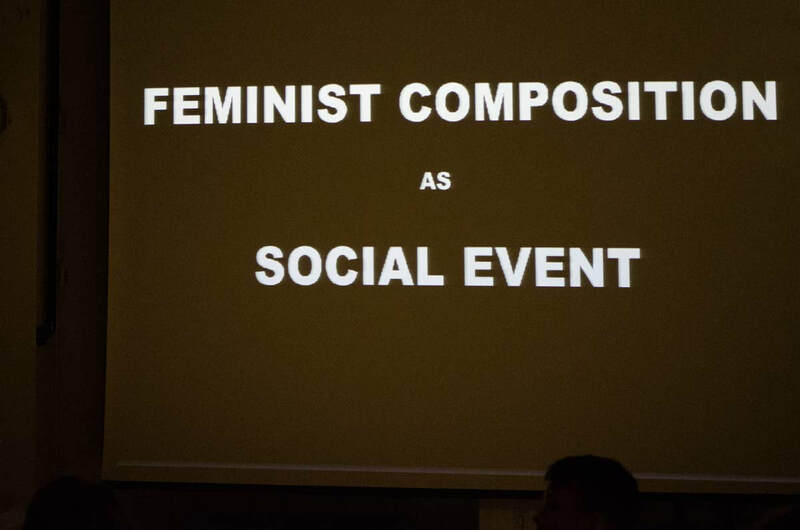 Feminist composition as a social event.